The latest study on these herbs has revealed that they contain anti-diabetic compounds that could both prevent the development of type 2 diabetes and work as effectively in treating this modern disease. Huge funds are spent on medications for treating diabetes worldwide. However, a vast number of people cannot always afford to purchase the drugs necessary for keeping blood sugar level under control. So, a group of scientists from the American Chemical Society led by Elvira Gonzales de Meija decided to search for safe, natural and cheap methods of treating diabetes several years ago. For this reason, they explored the ability of various fresh and dried herbs to disrupt the function of a diabetes-related enzyme called dipeptidyl peptidase IV. They discovered that both fresh and dried rosemary and oregano contained the highest level of polyphenols and flavonoids, bioactive compounds that effectively lower blood sugar levels, just like the medicine for the treatment of diabetes. The results of their study were published in Journal of Agricultural and Food Chemistry. 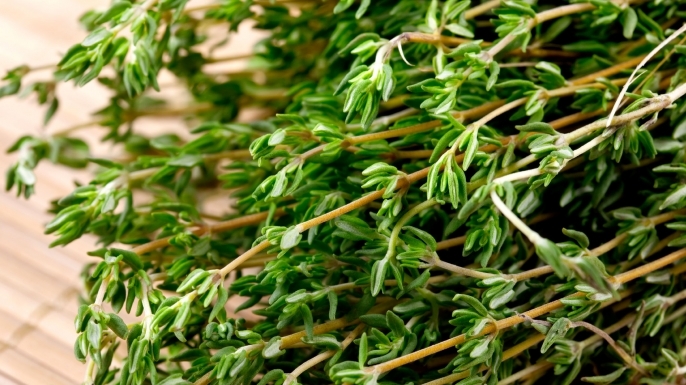 The anti-diabetes properties of oregano and rosemary are newly discovered. However, these herbs have been used for centuries for their other abundant health benefits. Let us explore some of them. Anti-bacterial compounds found in rosemary fight bacteria effectively and prevent bacterial infections, as well as bacterial growth. It is especially true for H. pylori bacteria that causes stomach ulcers, and Staphylococcal infections. Its compounds also stimulate memory, improve concentration, and fight against cognitive disorders like the Alzheimer’s disease. Rosemary contains carnosic acid, which has shown to prevent free radical damage in the brain. Aromatherapy uses rosemary essential oil for the purpose of relieving stress, clearing the mind, and improving mood. It contains powerful antioxidant, anti-carcinogenic and anti-inflammatory active components that boost the immune system and prevent different diseases and pathogens. It contains high amounts of gallic acid, which is one of the most potent antioxidants. It also a well-known stomach soother that can be used for bloating, diarrhea, constipation and other related problems due to its anti-inflammatory and stimulant effects. You can also make a powerful breath freshener and improve your oral health. Just steep rosemary leaves in hot water and swish it in your mouth. It will also eliminate bacteria in your mouth. Rosemary stimulates the production of red blood cells and improves blood flow. It can also give you a relief from pain since it has analgesic properties. People have been making a paste or salve from rosemary and applying it to painful areas on the body for hundreds of years. It is especially helpful for the treatment of headaches and migraines. You can just smell its aroma and rub your temples with rosemary oil. Rosemary essential oil is well-known for improving the quality of the skin, erasing blemishes, improving the natural shine and giving it a youthful appearance. I would like to share two recipes with rosemary that you can use for many purposes. Rosemary oil: gently roll over the rosemary leaves with a rolling pin to release the oils. Put the leaves in a jar and cover with olive oil. Place the jar in a sunny place and let it stay there for 3 to 5 weeks. Strain the leaves off and pack the oil in a clean jar. Rosemary tea: it is very easy to make. Simply steep a sprig or two of rosemary in a pot of boiling water for several minutes, then strain it. Oregano, whose name means “mountain joy”, gives a very specific and unique flavor to many dishes. It is widely used as a culinary spice in most Mediterranean and Italian dishes. Apart from being a wonderful addition to dishes, oregano abounds in powerful health benefits. It is a mighty anti-bacterial and anti-microbial agent, mostly due to its oils thymol and carvacrol. These oils have shown to stop the growth of numerous bacteria that affect different parts of the body. Rosmarinic acid and thymol are both antioxidant compounds that fight against free radicals in the body, which cause numerous chronic diseases. According to a report published in the the Journal of Nutrition, oregano contains very high concentrations of antioxidants. (i.e., >75 mmol/100 g). Oregano is rich in calcium, iron, and manganese, which are very important minerals for bone health. In this respect, oregano helps in protection against osteoporosis. Vitamin K is also very important for the maintenance of bone density and the production of blood clotting proteins. It energizes and rejuvenates the body due to its content of B-vitamins and iron, promoting increase in circulation and supplying the cells with oxygen. Oregano cares for heart health due to its content of omega-3 fatty acids. It is a good type of cholesterol that reduces inflammation in the cardiovascular system and helps in the prevention of heart attacks, strokes and atherosclerosis. It helps keep a healthy digestive system due to its fiber content. It possesses anti-inflammatory properties. Scientists at Bonn University and ETH Zurich in Switzerland have discovered that oregano contains a very potent anti -inflammatory ingredient, beta-caryophyllin. Oregano possesses anti-cancer properties. The scientists from the United Arab Emirates University have discovered that oregano literally causes cancer cells to commit suicide. Their findings refer to patients with breast cancer. Apart from using them as essential oils, you can use oregano and rosemary as herbs in many recipes. You can add them to salads, meat, dipping oils, and marinades and enjoy the immense health benefits that they can offer.